This Designer Handmade Lamp will be perfect for any occasion and the antique material makes it look ..
मेटैलिक हैंड पेंटेड समाई हैंडमेड किसानों द्वारा निर्मित हस्तनिर्मित वस्तुएँ कॉर्पोरेट उपहार, सीजन ..
Metal Brass Bowl and Tray set. 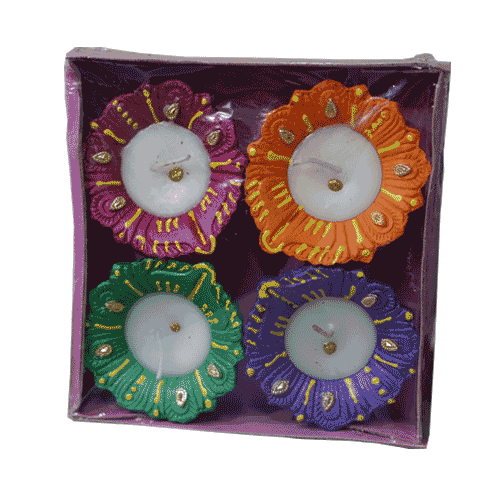 perfect for corporate gifts , personal gifts and gifts for relat..
Multi Color diya 10 N Idle for Diwali gift.use for natural lighting of home and roo..
Patili Diya 10NDiwali Gift. Idle for Natural Room LightningSet of 4 Diya's use during Di..
Matka Big 4N Diwali Gift Idle for Natural Room LightningSet of 4 candles Decorative Candle..